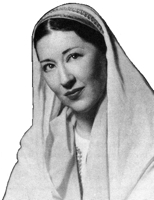 Information: Florence Freehof (1909-1990), teacher and author of books about Israeli dance. A Guide for Israeli-Jewish Folk Dances; Complete Bibliography of All Printed Works in the United States and Israel. Freehof, Florence E.. New York: Bloch, 1963. The Jews Are a Dancing People. Freehof, Florence E. n.d., n.p. Background and simple dances. New Dances from Israel. Freehof, Florence E. San Francisco, Cal. : Sanders, 1960. Instructions for 10 dances.